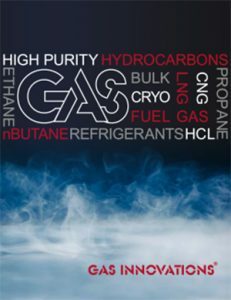 HOUSTON (Feb. 3, 2016) – Texas-based Gas Innovations® has unveiled eCOs, a new fuel cell technology that will allow the safe and efficient production of carbon monoxide directly at the site of facilities where the gas is needed. Developed by Denmark-based Haldor Topsoe, the Cogeneration device will use feedstock carbon dioxide and electrical power to produce CO in quantities ideal for most operations. The development is significant to the medical, pharmaceutical, electronics and chemical industries, which require carbon monoxide in their processes. The technology will also provide higher levels of purity, producing CO at 99.5 percent assay with minimal contaminants, with customization options that can produce gas with 99.999 percent purity. Gas Innovations will have an eCOs unit in operation at its Texas facility in January 2016, allowing it to fill cylinders. In the first quarter of 2016, the company will begin leasing out the eCOs modules, making it possible for larger-scale operations to produce their own CO, on-site, on an as-needed basis. Both solutions drastically reduce costs related to transportation, storage, rentals and connections. Haldor Topsoe is a world leader in catalysis and surface science. We are committed to helping our customers achieve optimal performance. We enable our customers to get the most out of their processes and products, using the least possible energy and resources, in the most responsible way. This focus on our customers’ performance, backed by our reputation for reliability, makes sure we add the most value to our customers and the world. For more information, please visit www.topsoe.com.